The owner of an Uptown restaurant wants to develop a parking lot he owns across the street. Bill Ferguson told a Denver City Council committee last month that he’s looking to build a five-story project on the lot at 1709 and 1717 Washington St., across the street from his restaurant The Avenue Grill. Ferguson has asked the city to rezone the 0.29-acre site from G-RO-5 to C-MS-5. Both zoning classifications allow a maximum of five stories, but G-RO-5 is intended for residential and office uses, while C-MS-5 allows for more active street frontage. In response to a question from Councilman Wayne New, Ferguson said he hadn’t determined whether the residential component would be for-rent or for-sale. 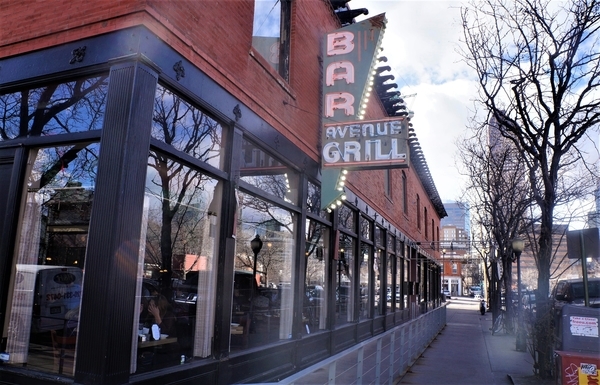 Ferguson’s Basic Food Group owns and operates The Avenue Grill and Denver Tech Center restaurant Great Northern Tavern, as well as six Famous Dave’s locations in Colorado, according to its website. Ferguson told the committee he has owned The Avenue Grill, both the business and the building, for 30 years. Property records indicate he purchased the parking lot he now hopes to develop in the mid-1990s. “It was a dirt lot, and it was an opportunity for us to enhance the business,” he said. Council’s Land Use, Transportation and Infrastructure Committee unanimously voted to send the rezoning request to the full body, where it will need to receive majority approval.